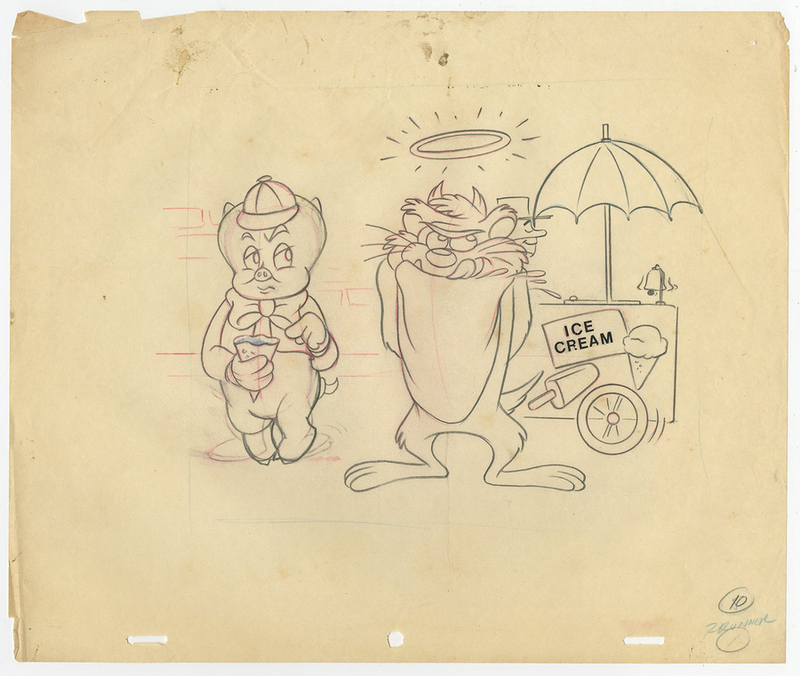 This is an original publicity drawing from a Warner Bros. Studios publicity image project either for marketing/promotional purposes or to design a product. 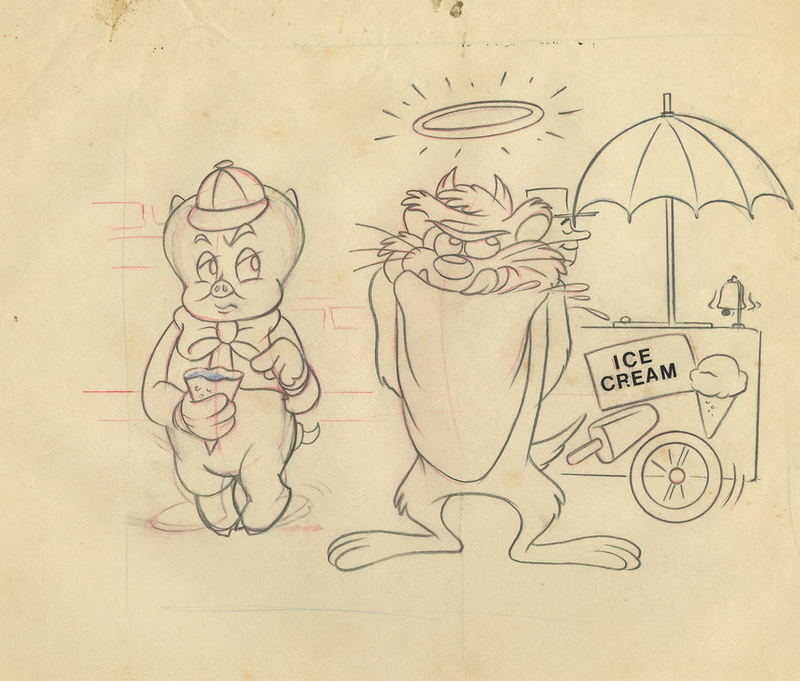 This publicity drawing features Porky Pig and Taz enjoying a treat from an ice cream cart and was created at the studio. The overall measurements of the piece are 10.5" x 12.5" and the image itself measures 6" x 8".The drawing is in very good condition.